Popular Bosnian hard rock and heavy metal band formed in 1977 in Zagreb, Croatia by lead guitarist Sead (Zele) Lipovača. Band is still active. This band were NEVER a Heavy Metal band back then in Yugoslavia, neither did they present themselves as a "heavy metal" band. 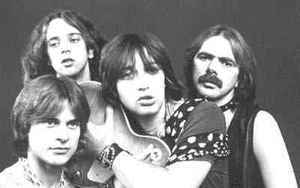 They were what was commonly known there (ex-Yugoslavia), as a "Yugo rock" band (a kinda commercial version of "rock" or at most hard rock). Foreign metal enthusiasts are these days blowing their story/reputation way out of proportions & making them as something that they themselves envision them to be, which is something they were/are NOT.